I am huge on “scents”! I fall in love with the scent of things & always relate them to memories. I can still remember my favorite perfume of my junior year of high school & every time I smell it I’m reminded of my young naive self. 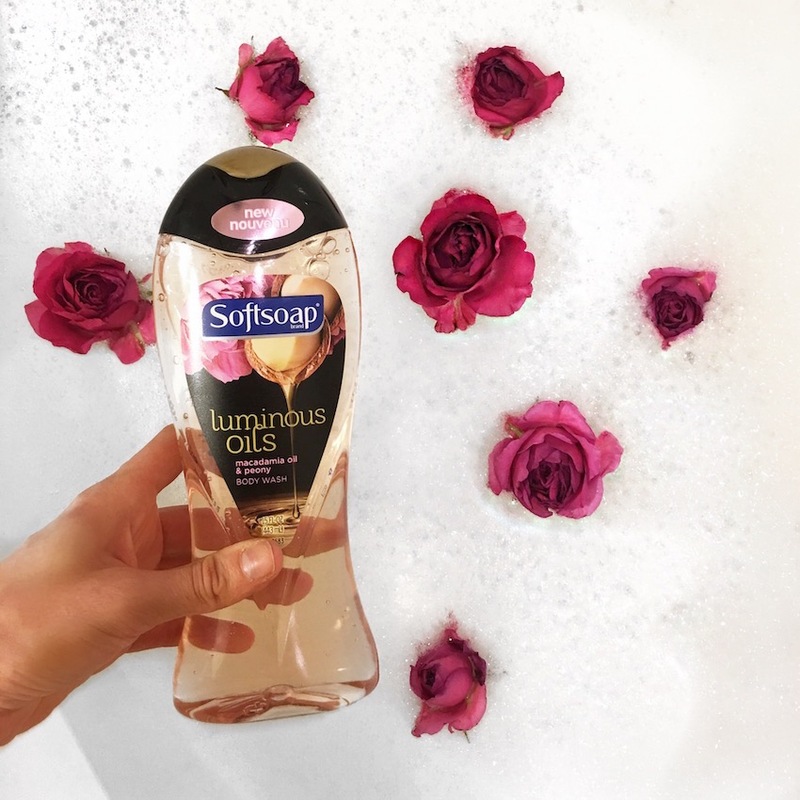 I have also fallen in love with the new Softsoap Luminous Oils body wash that is available at Walgreens! They have 2 scents: Avocado Oil & Iris and Macadamia Oil & Peony. They are both amazing! I love the Avocado Oil & Iris in the morning. It has a bright fresh scent that wakes me up and gets me going for the day! At night though I love the Macadamia Oil & Peony, it is soft and gentle. 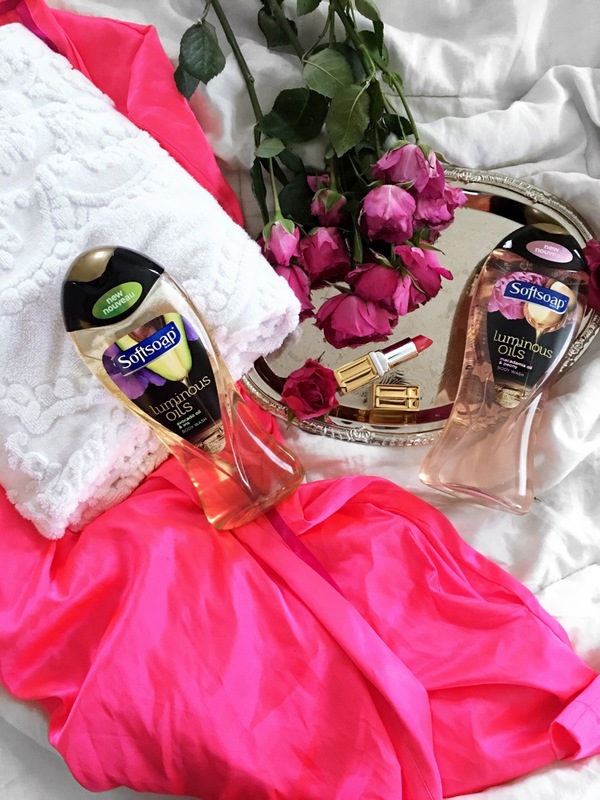 I usually take a bath each night and using the Macadamia Oil & Peony helps me to relax. 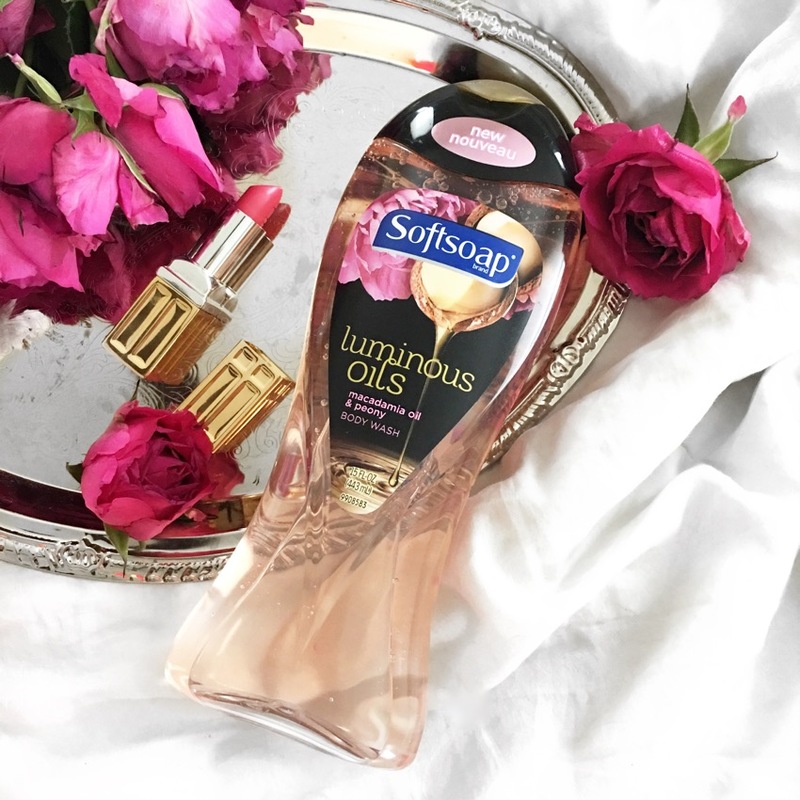 I am excited to have been invited to participate in the #EverydayLuminous campaign, sponsored by Softsoap at Walgreens. Although I have been compensated all opinions are my own. I love that I can pick these items up right at Walgreens! Being a mom on the go connivence is key! I’m always stopping by Walgreens to get a couple things and it’s so nice to know they have quality items such as Softsoap Luminous Oils body wash that I can just run in and grab. Walgreens always has amazing deals & sales so I always feel like I got my items for a steal and who doesn’t love that? I’m not going to lie I’m not huge on getting up in the morning. If Mason climbs in bed with me we could spend forever laughing and watching morning cartoons! This is very rare but I do love those days! Most days are early to rise, although I look forward to a little “me time” in the shower. 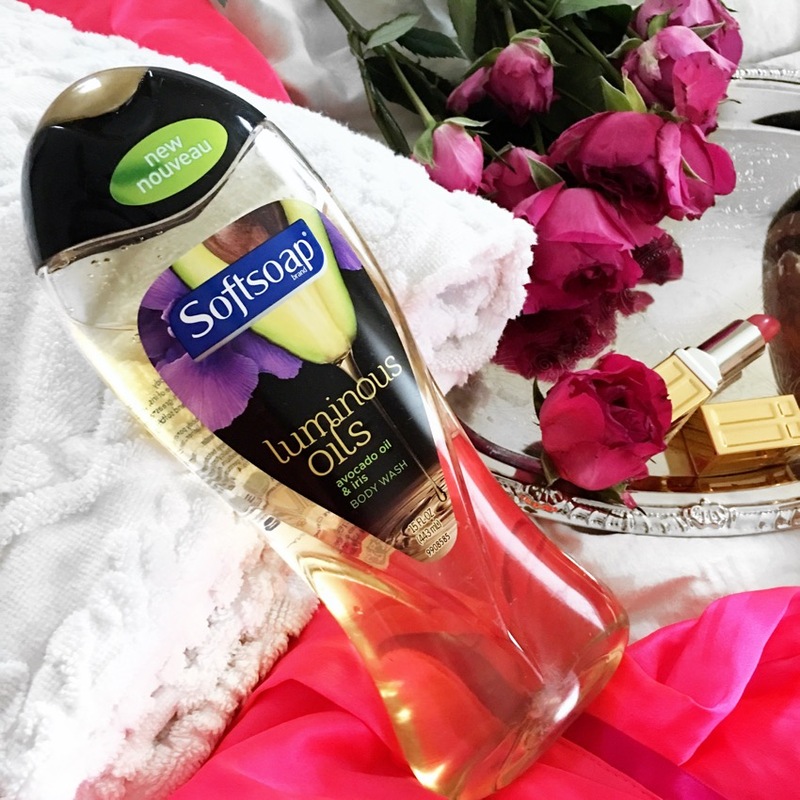 Using the yummy Avocado Oil & Iris Luminous Oils body wash makes getting ready that much more enjoyable. Night time is a different story. I so look forward to my baths. It gives me time to reflect on the day, clear my head, and relax before I go to sleep. It could honestly be 11pm before I get the chance to take a bath but I never miss it. I love using Macadamia Oil & Peony Luminous Oils body wash because it clams my body and is perfect for winding after a long day. All in all, I love a great quality product and I love it even more at a fair price! 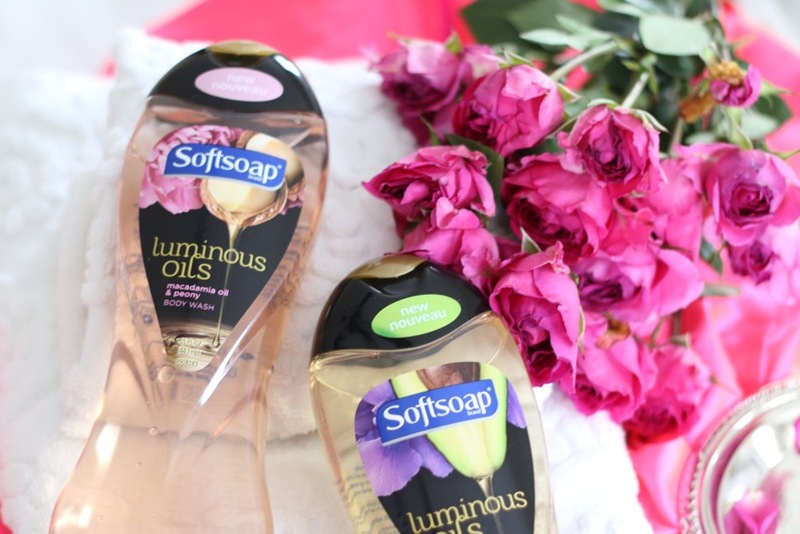 Softsoap Luminous Oils body washes are just that! I love finding great products to share with you guys! You can grab yours at your local Walgreens and trust me you won’t regret it!